Join us in imagining the Victory Garden of Tomorrow! 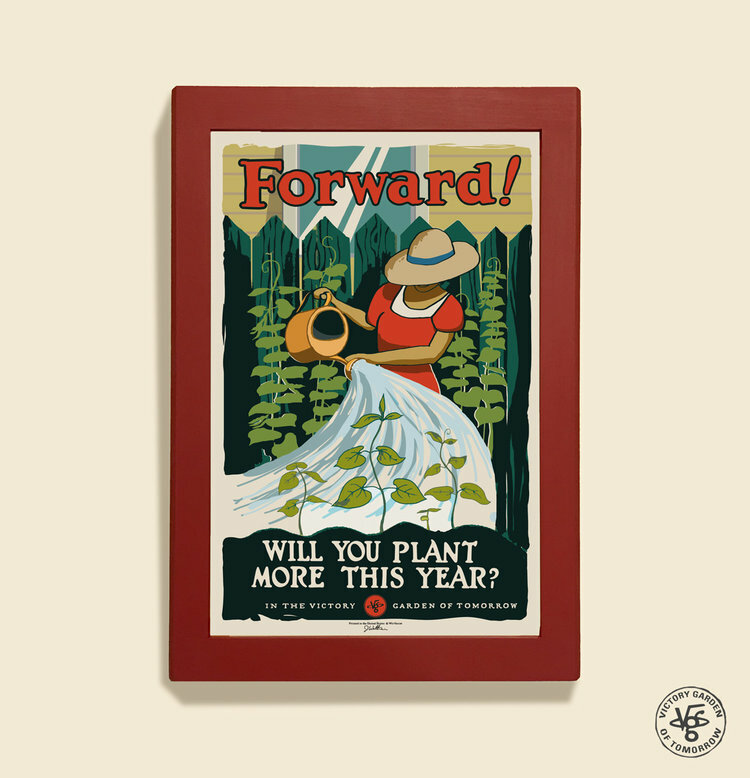 This design project is proud to represent healthy propaganda—posters for better food, better gardens, better cities. It is original, collectible new work that's committed to civic innovation and social progress in the 21st Century. Design work from the VGoT has been recognized by Martha Stewart Living Magazine, by Organic Gardening Magazine, by the Portland Art Museum, the Design Museum Boston, and even appearing in The New York Times. Our goods can be found in fine shops and homes across the United States.